Bout of Books 12 Challenge: Bookshelf Scavenger Hunt | Next Page Please! This challenge is to basically find books off your bookshelf that match the clue thingy. Here is the list.. Bonus: Find something on your shelf that isn’t a book. So here are my books! 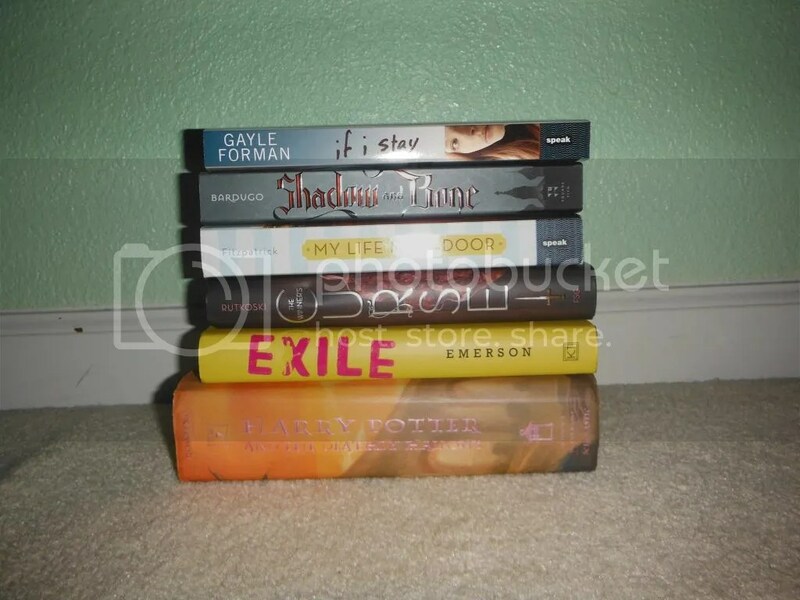 If I Stay for the face on a cover category, Shadow and Bone for having a map on the inside, My Life Next Door for a female protagonist, The Winner’s Curse for the author having “s” in the author’s name, Exile for yellow on the cover, and Deathly Hallows for the longest book I own…hopefully it is…because it would be pretty embarrassing if it wasn’t. I didn’t have a book where the author’s initials were the same as mine so…I had to skip it. I hope you enjoyed and if you did this challenge then make sure to comment the link of your post! 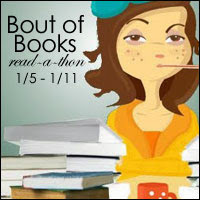 Pingback: Bout of Books 12 Wrap Up! | Next Page Please! Kaitlin has read 0 books toward her goal of 82 books. 5 Stars: Loved it sooo much! 4 Stars: I loved it! 3 Stars: It was liked it. 2 Stars: I don't really like it. HPMOTW: Best joke of the series?